The Drakensberg is home to rare birds like the bearded vulture and bald ibis. 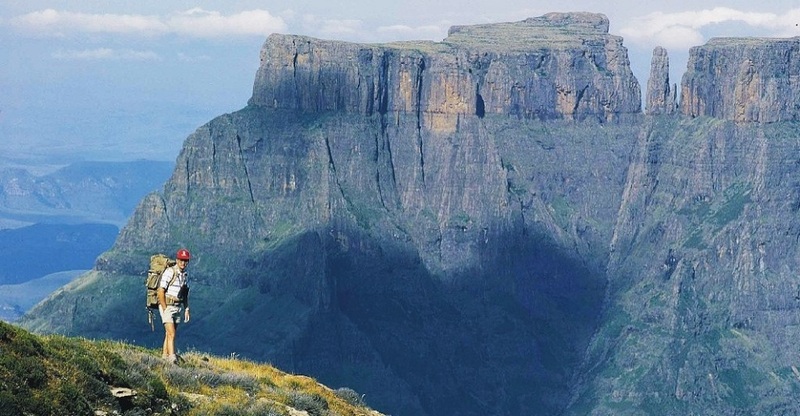 The spectacular and ancient uKhahlamba-Drakensberg mountain range is Southern Africa's highest range, peaking at 3 475 metres and stretching for more than 1 000km from northeast to southwest across the landscape. In Zulu the range is known as uKhahlamba, meaning 'barrier of spears', which does justice to its dramatic basalt buttresses. Early settlers called it the Drakensberge, because they believed it resembled a dragon's back. 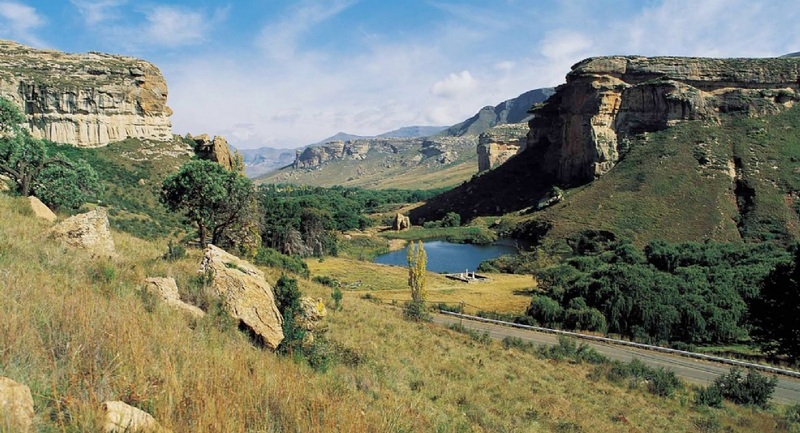 One of the country's premier attractions, the Drakensberg range offers panoramic views from its higher reaches, attracting hikers, mountaineers, abseilers, parasailers and skieers to its game reserves and parks. The mountains, with numerous valleys and rivers, is an outdoor playground where South Africans enjoy leisure time pursuing activities including trout fishing, kayaking, tubing, swimming, 4x4 trails, quad biking, horse riding, photography, bird watching, rambling, rock climbing and hot air balloon rides over hidden valleys. The Golden Gate National Park is a Free State Nature Reserve in South Africa, located in the north eastern part of Free State and derives its name from the brilliant shades of gold cast by the sun on the sandstone cliffs, especially the imposing Brandwag rock. The area is famous for its captivating scenery, invigorating climate and the accommodation offered in hotel rooms, rondavels (round huts) and self-catering chalets.